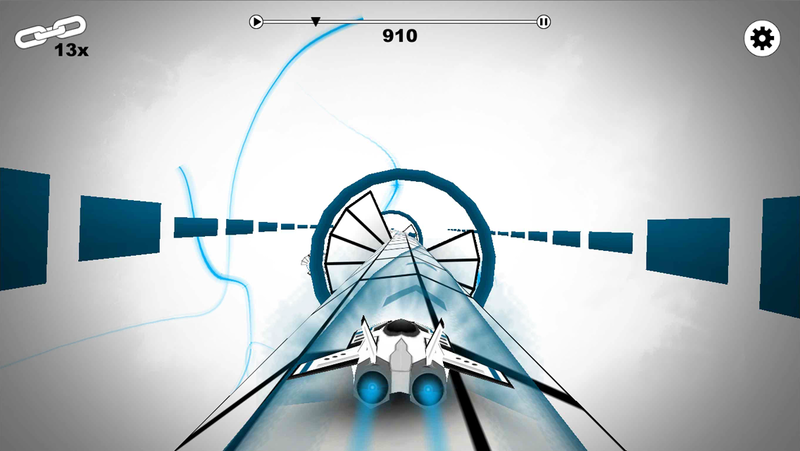 I’ve released my iOS App, Pulse Racer on the app store! 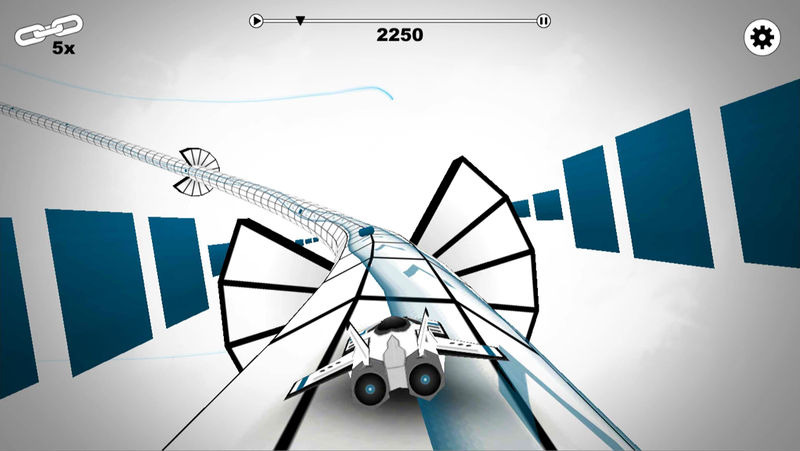 Pulse Racer is a rhythm based score-attack game, which requires the player to travel along a generated course and collect “notes” which are synchronized to music. Players are rated based on their ability to string together notes, and their final percentage at the end of each course. I’m really quite happy with how the project turned out and, for me, having a polished app on the store is a huge accomplishment. Technically this app was a big endeavor as well. I’ve had the idea floating around for a year or so, but was never able to properly execute it until now. Building courses based on music is more difficult than it seems at first glance. Perhaps the most challenging part was determining the positions of notes on the course. I used a spectral-flux based onset detection algorithm, which ran a Fourier transform over audio samples, converting them to the frequency domain. Next I calculated a net difference in each spectral band between samples using a rolling average. From this, I determined the change in acoustic energy for each sample window. From there, it was simply a matter of finding local maxima (locations where the energy peaked), and I had a reasonably reliable system. Other aspects of the course are generated from the intermediate steps. For instance, the large-scale contour of the course is based on the acoustic energy graph. The radius of the cylinder is based on the spectral flux over time, and so forth. Using these techniques together produced a fun, and challenging course for almost any song input into the game. This also allowed for tracks to be pre-processed, so that no complex calculations were done during the game, allowing for the absolute maximum frame rate. The music I used was made by an awesome artist I found online, F-777. He was kind enough to let me use a few of his songs as included sample tracks in the game, so that users did not need to generate their own to play. My experience working with him was a blast, and I’d highly recommend him to other developers looking for some good electro music. Pulse Racer was a blast to work on, and was a wonderful learning experience for me. It is currently available on the App Store for $1.99 should you wish to play.